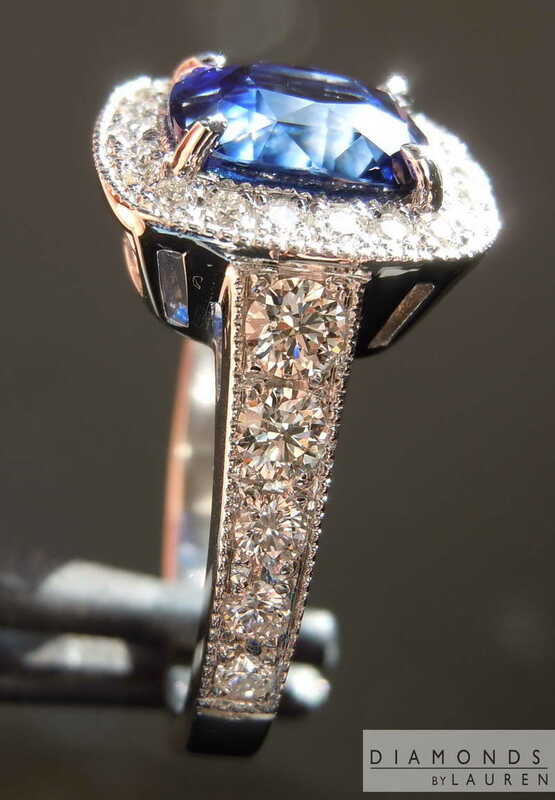 The ring is just so gorgeous. We used an older design for inspiration. 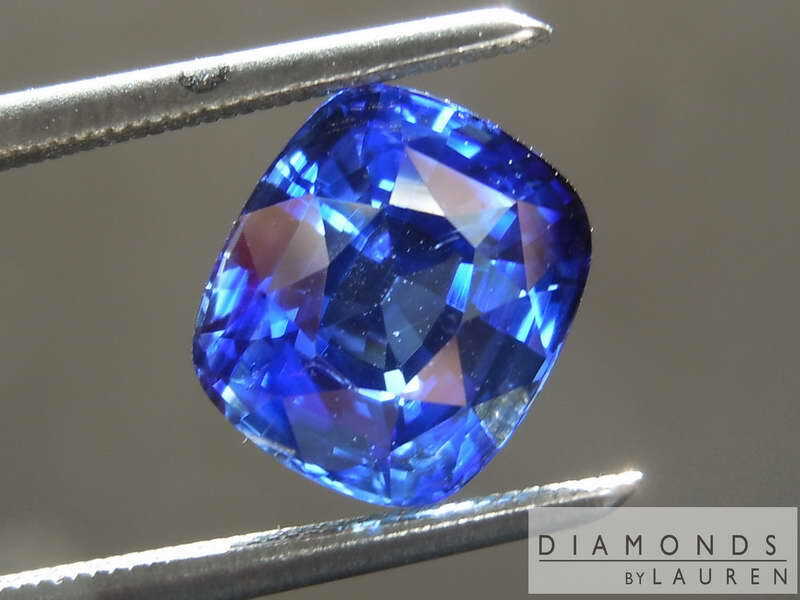 There will be approximately 36 round diamonds set into the ring. 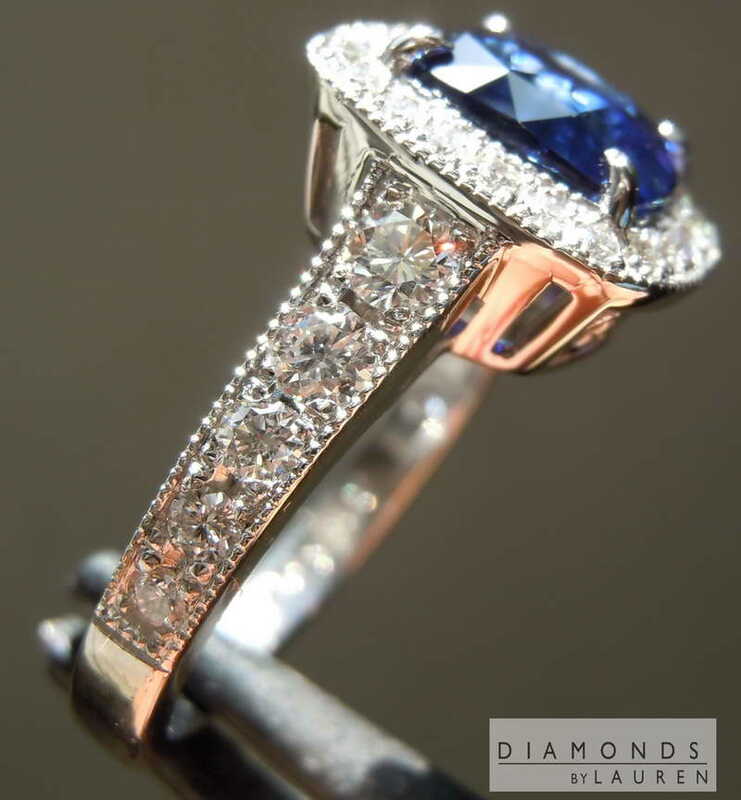 The stones in the shank graduate down from 2.9-1.9mm. The shank is 2.5mm at the palm- and quite stout - as you can see from the side views. 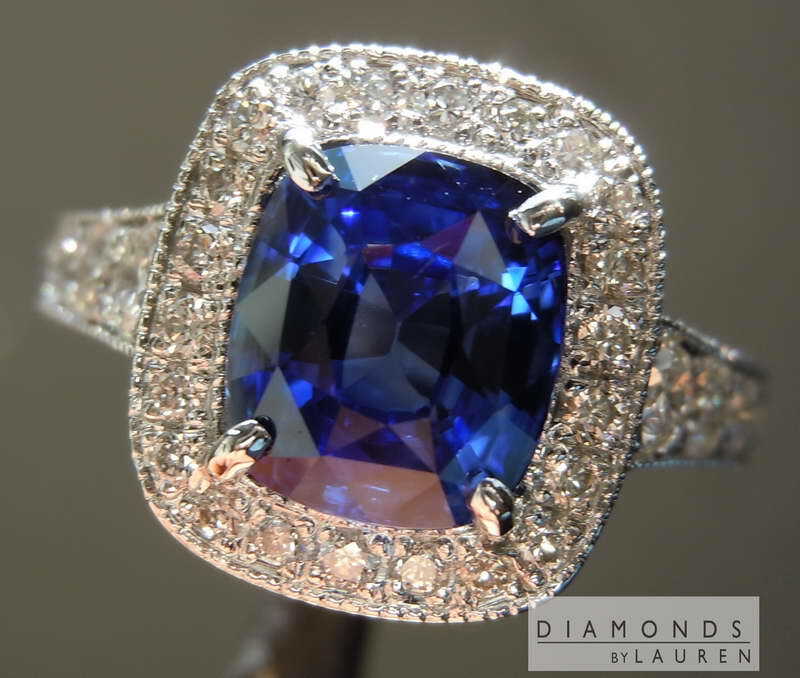 We are so picky when it comes to sapphires. Our resources for such stones are vast - many dealers want us to buy. In choosing who to buy from, we're looking for a combination of quality, selection, price, and really important - reliability. 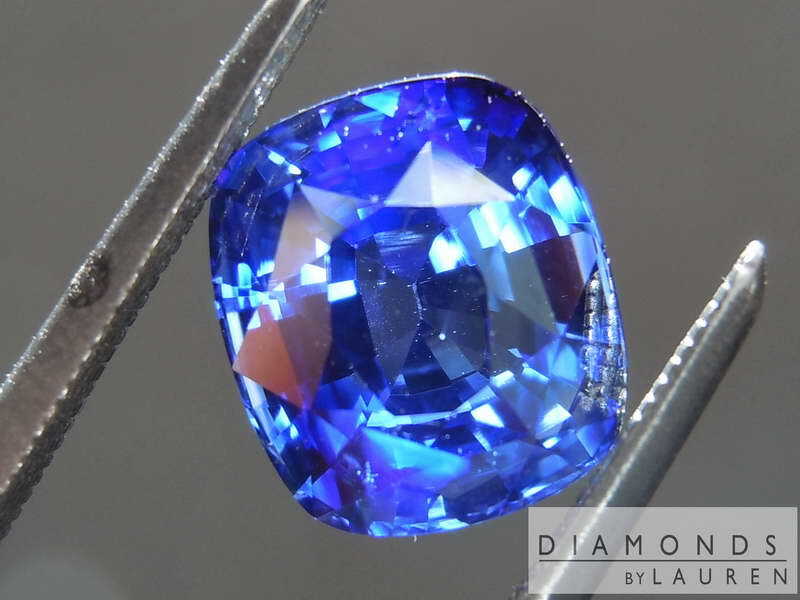 So this guy, who meets all the criteria, brings over 5 blue sapphires, around 3 ct each, relatively reasonably priced. This stone stood out immediately. The pictures confirmed what my eyes saw. 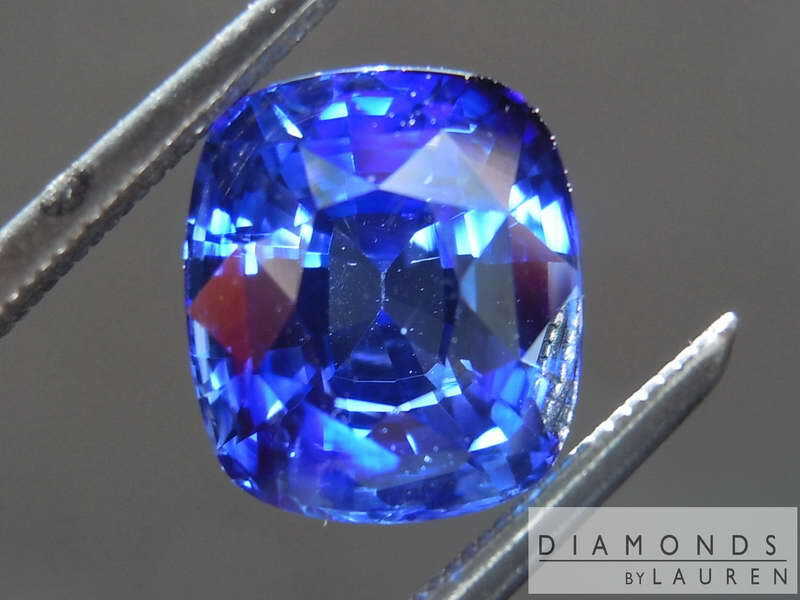 Nice deep blue color. There is no purple I can see and no dreaded gray. 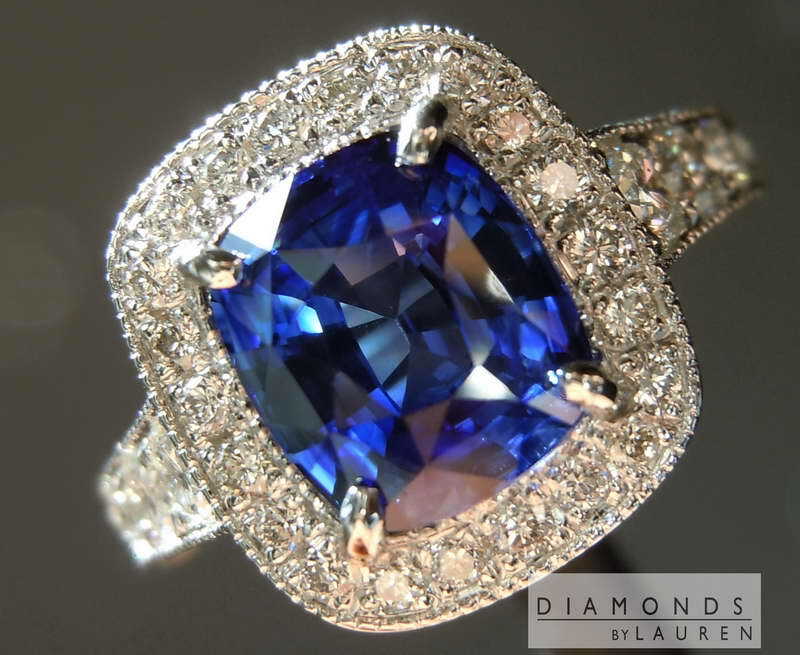 What makes the deep color most attractive are the ton of sparkles coming through- lightening up the stone in just the right way. The cut is awesome. Generous crown, small table. Nice size for the weight. 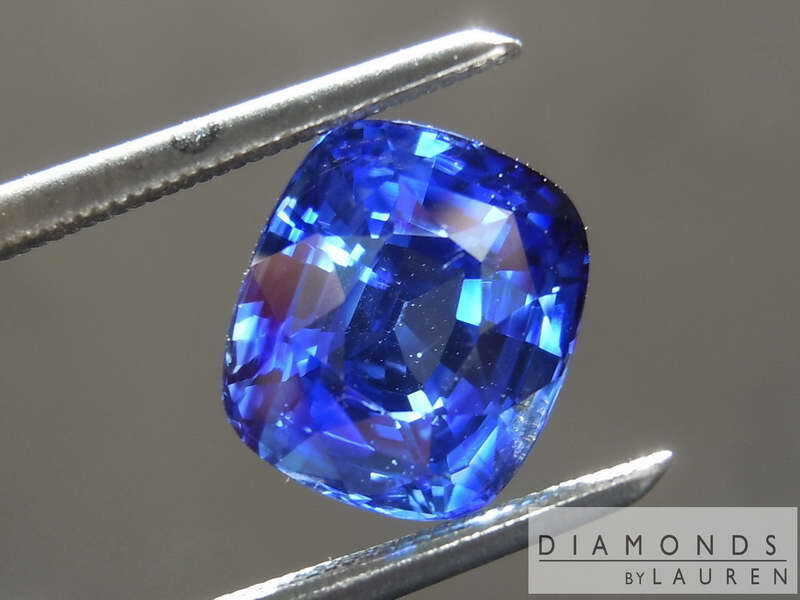 We assess, through microscopic inspection, that the Sapphire was heated during the cutting process. This is a common practice. 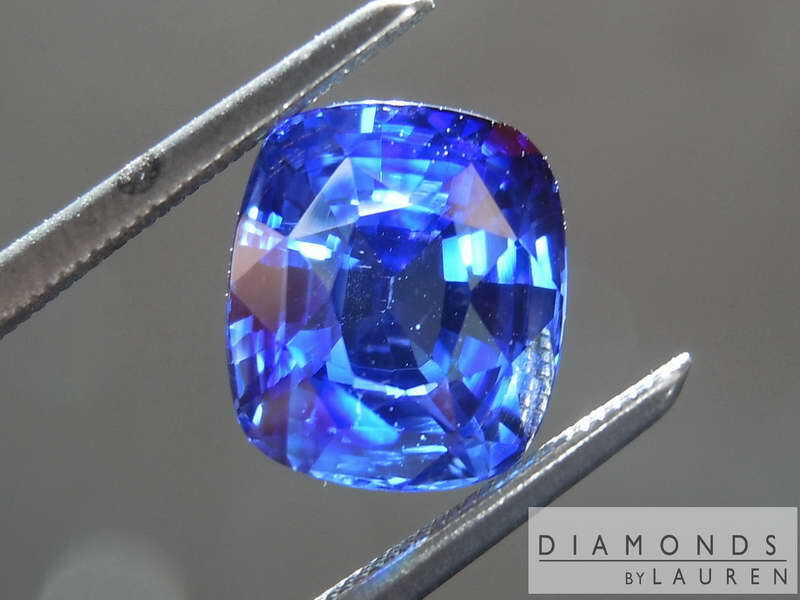 The stones are heated in the rough, prior to cutting. 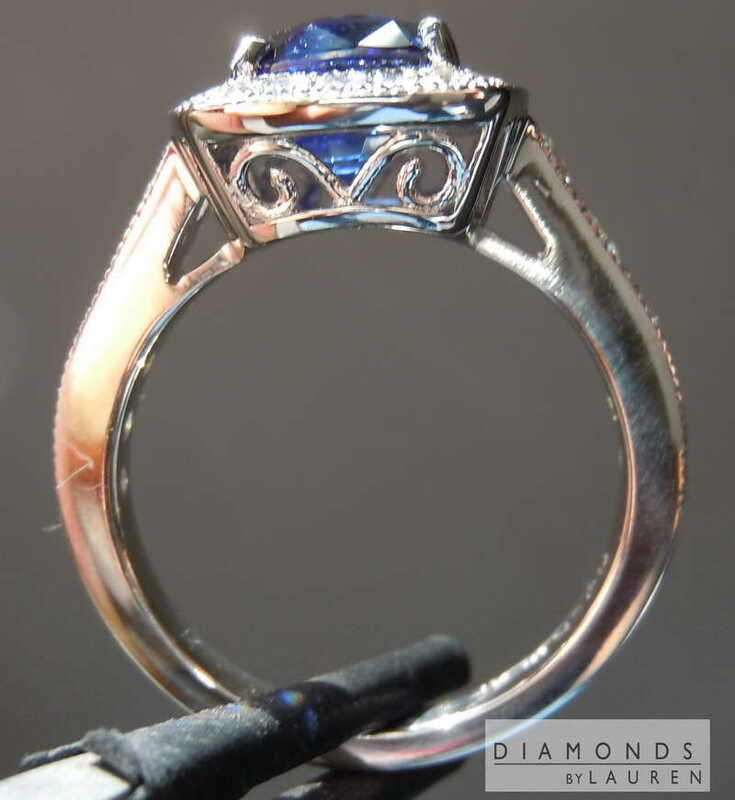 This solidifies certain common imperfections, and can result in a more lively, bright polished stone. This is a great example. 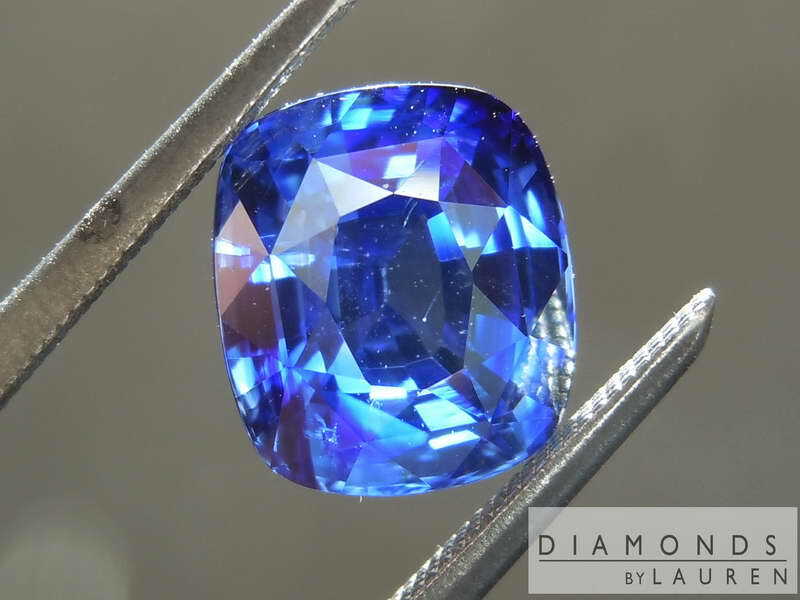 Remember too, if a stone had this sort of color/brilliance, and it was accompanied by a reputable lab report identifying it as "no heat", it could easily cost double.